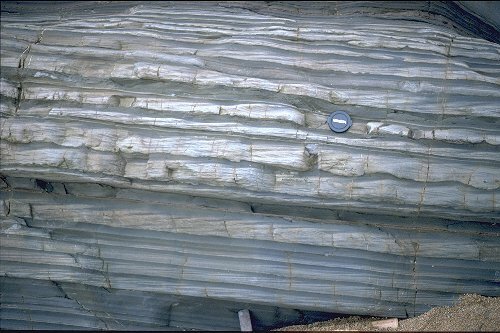 Thin bedded, sharp-based, graded sandstones, dominated by climbing ripples. Mudstone interbeds. What does the presence of climbing ripples indicate?